For a long time, hats were oversized and expensive status symbols more than tools for protecting people’s heads. During the past half century or so, they have nearly disappeared. A similar destiny may befall on private cars, also oversized and expensive status symbols rather than tools for transporting people. With the disappearance of cars, we may see hats coming back. If you look at images of people taken before mid 20th century, you’ll notice that almost everybody was wearing hats. In those times, people would often wear top hats or bowler hats, but by the 1920s, everyone was wearing the ubiquitous Fedora hat, as you can see in any gangster movie set in the 1920s and 1930s. Searches for other types of hat confirm that we see a relatively recent phenomenon, taking place during the second half of the 20th century. For instance, John Fitzgerald Kennedy was the last US president to wear a top hat at the inauguration ceremony, in 1961, just as Abraham Lincoln had done, long before. Afterward, hats mostly disappeared from the heads of US presidents, just as of ordinary people. So what happened that caused the near disappearance of a clothing item that had been ubiquitous in human history? Surely, fashion changes all the time, but it is not always just a question of whim. There are often practical reasons: think of the uncomfortable corsets that disappeared in the 1920s, when women became more active in everyday life and needed more practical ways of dressing. For hats, the story may have been different. A top hat may be a little clumsy to wear, but surely it doesn’t have the same practical problems of a corset. So, the decline of all kinds of hats probably comes from a different factor: the importance of hats as status symbols. All over human history, hats have been used to separate the upper classes from the lower ones. In the Western World, it would have been unthinkable for workers or peasants to wear top hats, just as the upper class wouldn’t even dream of wearing the berets typical of the working class. Wearing or not wearing a certain type of hat was a choice determined by one’s social status. So, it is in social factors that we can probably find the explanation for the demise of hats. 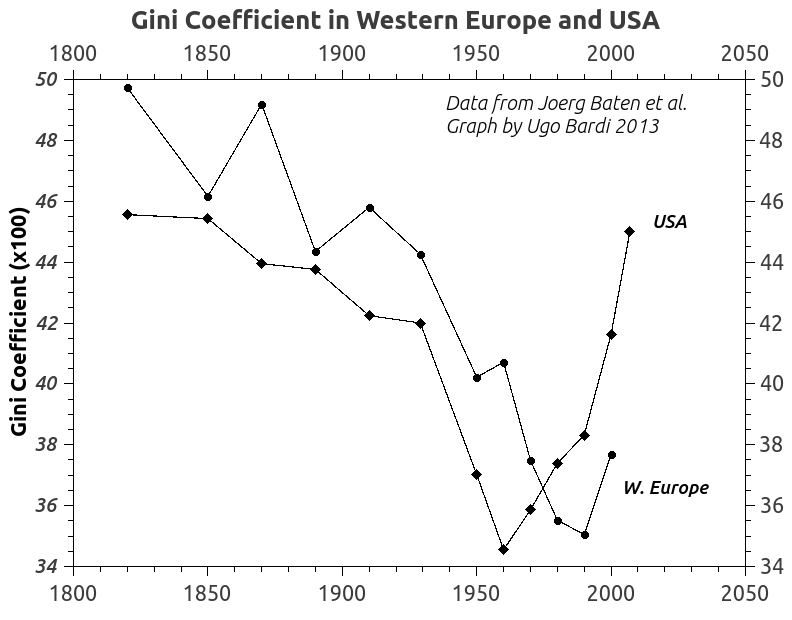 As you see, there occurred something that we could call “peak equality” in the 1960s-1970s. This equality peak corresponds well to the disappearance of hats. It makes sense: in a society where wealth is reasonably well distributed, excessive display of one’s status may be seen as poor taste. Many societies and ideologies that theorize equality have emphasized the concept of everybody wearing the same kind of hat: think of the clothing that the Chinese wore at the time of the cultural revolution. 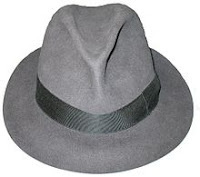 Then, if everyone wears the same kind of hat, say, the Fedora hat, what’s the point of wearing it at all? You may as well leave it home. This is probably the main factor that made hats mostly obsolete in the Western World. But things may be subtler than this. 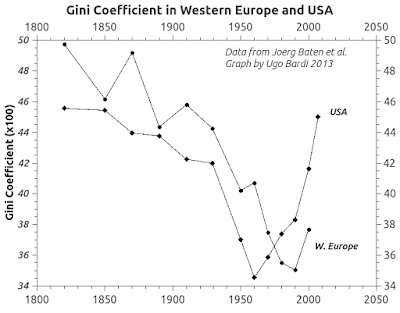 Although in the early 20th century social inequality had become less evident, it still existed. And people are natural hierarchical animals; they need to establish hierarchies. There lies the problem: hats were good status symbols as long as social mobility was low and people were born with a certain social status. In those times, a worker might have been able to afford a top hat, if he really wanted, but wearing it in public would have been unthinkable for him. But, in the 20th century, people had become socially mobile and also geographically mobile while, at the same time, monetary wealth rapidly became the main marker of social status. So, if you saw someone wearing a top hat, was he really rich or was he a cheater? It was hard to say. What was needed was a more robust social marker; something expensive enough that it would provide a direct and reliable indication of a person’s wealth. 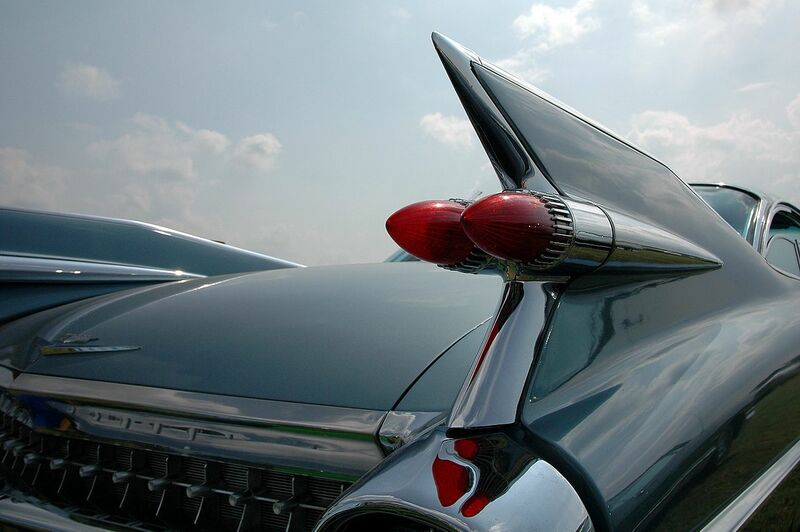 And it was found in the 1950s: the private car. The private car had what was needed to be an excellent status symbol in the social and economic structure that had emerged in the West after the second world war. 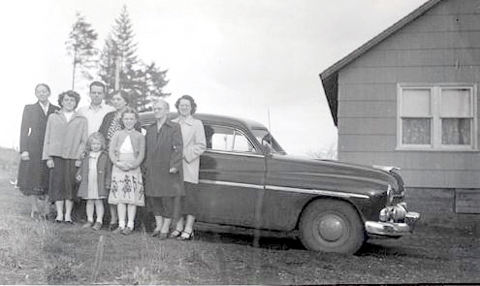 The shift to suburban life made private cars not anymore a luxury but a necessity. Then, cars were expensive enough that people would have to commit a substantial fraction of their budget to buy one. And the industry soon provided a range of models with a price spread that selected buyers according to their financial status. Add to that the clever marketing idea of the “model of the year” and soon buying a car became the way to keep up with the Joneses. It would strain to the budget of suburbanites enough to provide an immediate and reliable signal about what was the income of the owner of a certain model of car. 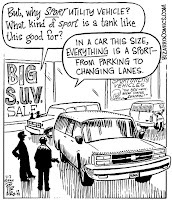 SUVs are obese monstrosities, but most cars on the road are overexpensive and underused: they are idle most of the time and they are used only for a small fraction of their load capacity. All of them, so far, had their main reason to exist in the fact that they served their purpose of status symbols. But the situation is rapidly changing: the trends of social equality changed sign in a phenomenon called “The Great U-Turn” that brought us back to the inequality levels of the 19th century, when people wore top hats. The reasons for this evolution are complex and not completely understood (but there are hints that it is related to fossil fuel depletion) In any case, these epochal changes can’t be without consequences for transport. Society is now splitting in two social classes: the very rich and the very poor; while the middle class is being rapidly squeezed out of existence. Stuck in the suburbs, the poor (the former middle class) desperately need transportation but they don’t care anymore about keeping up with the Joneses. It is more a question of survival and any contraption that moves on wheels will do for them. 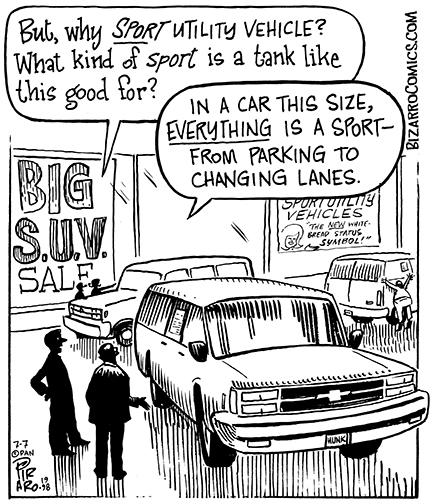 The rich, on their part, don’t really need cars to show their wealth. They compete with people in the same social class by means of much more expensive status symbols: mansions, estates, art, private jets, or whatever. For both the rich and the poor, cars cease to be a status symbol and become part of the concept of transportation as a service (TAAS). This concept includes both the traditional public transportation systems, from buses to trains, as well as the new forms of individual transportation made possible by the development of new technologies. As these trends move onward, eventually private cars will become as obsolete as top hats. That doesn’t mean reversing the inequality trends. The rich will still ride luxurious vehicles, but won’t probably own them anymore, just like when they travel first class on planes and trains. The poor will use TAAS to the extent they can afford it, otherwise they’ll have to walk. That will be a good opportunity to abandon the bloated suburbs of our times and rebuild human-sized cities. The number of running cars will drastically diminish and those that will remain will mostly be of the right size for what they are needed. That means we’ll use fewer fossil fuels, we’ll reduce the emissions of greenhouse gases, and apply a lower pressure on the Earth’s ecosystem. Don’t take all this as a praise for social inequality. If it were for me, I would much prefer to live in a world where people are valued for what they give rather than for what they own. But that’s not the way our world works, today. There are some ongoing trends that we can’t ignore. The demise of the wheeled dinosaurs that have plagued us for such a long time might be quite rapid (a true Seneca Collapse) and that will be a good thing. By the way: we’ll also wear hats again.